Jump or Drop from rock to rock collecting shapes and symbols. Watch out, some rocks are not that sturdy! Like Helicopter game but Sonic style. Avoid touching any of the objects and go for the high score. This is the hardest Sonic game ever made! If you can survive for even one minute you are some kind of god. It's Angry Birds but Sonic style. Use 4 different Sonic types to reach the target score on each level. 30 total levels. Bomb your way to victory by blowing up your opponents with various explosives. Don't blow yourself up though! Collect all 10 Stars and then proceed to the exit warp to complete the level. Watch out for baddies and pits! Features 17 tricky questions to test your Sonic the Hedgehog knowledge. How many can you get right? You have a set number of spins to collect all the ring boxes on each screen. 3 total areas with 8 levels each. Victor the fiendish crocodile has abducted Amy Rose! Sonic must set out to rescue his girlfriend. Help Mario save the princess in this fun remake of Super Mario. There are 12 total levels to clear before facing Bowser. Twisted Mario will test your wits as well as your gaming skill. 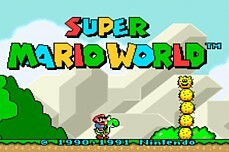 One of the toughest Mario Games ever made.